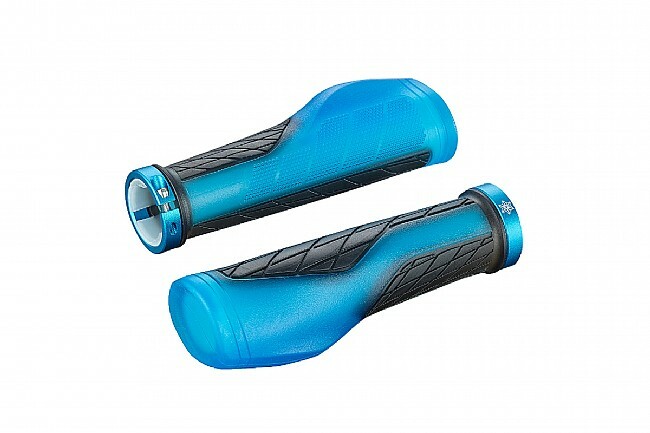 The Kush Ergo Lock-On Grips from Supacaz are ergonomically designed, combining comfort and performance into a stylish package. 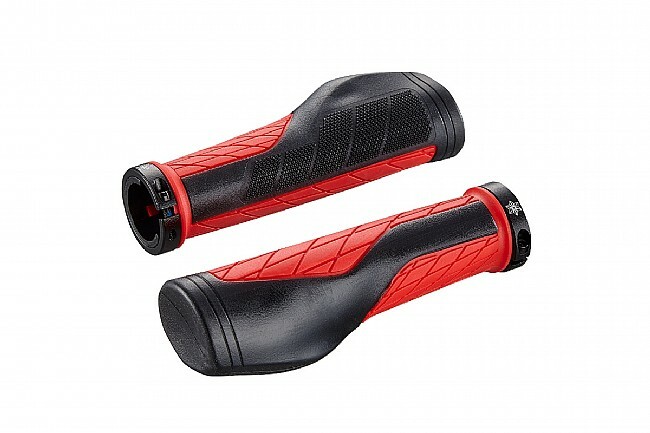 Made of dual density high performance rubber, these grips are stiff with a soft, grippy surface that delivers confident control without compromising comfort. 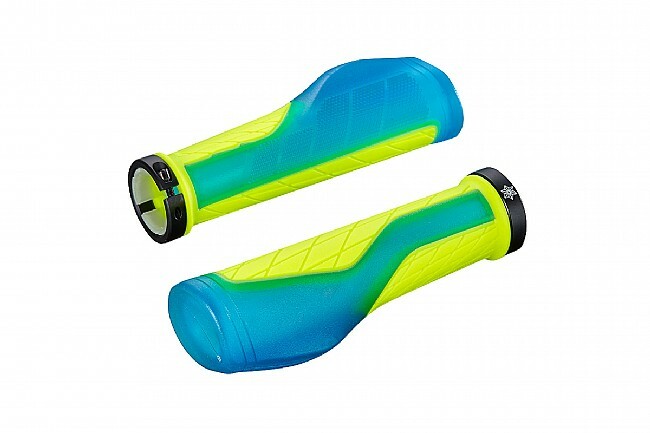 In fact, in addition to direct hand comfort, these grips offer support to the wrists and upper body thanks to a vibration dampening rubber compound and the ergonomic shape of the wings. Dual Density High Performance Rubber. Laser etched aluminum lock-tight Star Ringz. Diameter: 40mm (widest); 29mm (narrowest). Suited for MTB, XC, Endurance, Stage Racing.